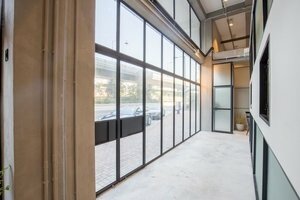 This well-equipped space is offering an open area, with the size of 178 sq ft ideal for Pop-Up Stores. 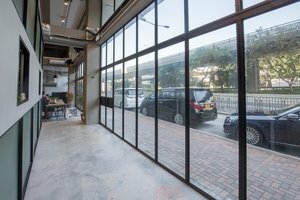 The open area is located on the ground floor of a residential building, which is nestled in the hustle-free neighbourhood of Sai Ying Pun. The interior design of the retail space is in grey colour scheme, creating a modern and elegant atmosphere. Moreover, the entire space is surrounded by windows, illuminating the whole space with natural light. Brands are welcomed to organise a pop-up here and showcase their products on bookshelves or mannequins. 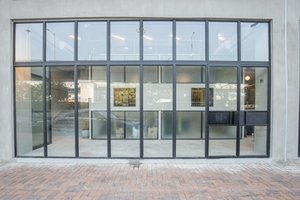 Moreover, there are six glass panels at the storefront, allowing brands to display products. This unique space suits brands who are targeting younger and more professional brands.